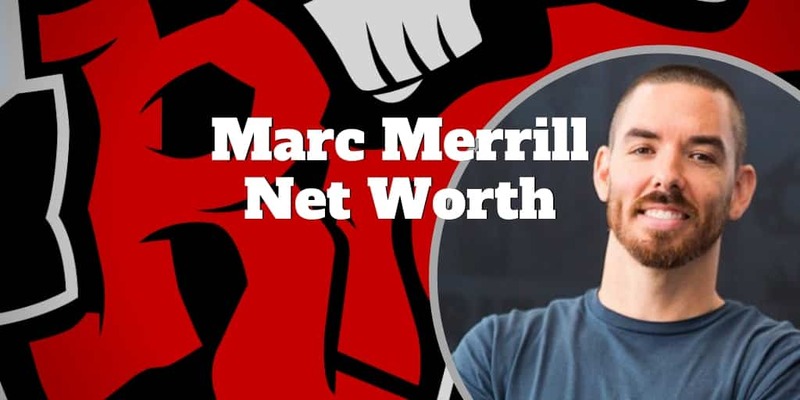 Home › Celebrity › Marc Merrill Net Worth – Is It Really $2.5 Billion? Marc Merrill Net Worth – Is It Really $2.5 Billion? Marc Merrill is an entrepreneur who, along with Brandon Beck, founded Riot Games. These college buddies were roommates at the University of California and bonded through their love of video games. Riot Games is a video game company and e-sports organizer based in Los Angeles. Its brand is both successful and beloved due to League of Legends, which is among the most popular games in the world. League of Legends – often shortened to LoL – is an online battle arena involving five-person teams. Riot Games uses a freemium model for LoL and supports it and generates revenues from microtransactions (MTX). Despite all of this success, is Marc Merrill’s net worth really $2.5 billion? Merrill and Beck founded Riot Games in August 2006, which was three years before League of Legends would be introduced to the world. The company was founded on the notion that existing video game companies were moving from one game to the next too swiftly. Their entrepreneurial idea was to continue serving an existing base with new features rather than chase a new base with each release. Riot Games was incorporated in California, and it was established through $1.5 million that Beck and Merrill had acquired from family as well as seed investors. As the Riot Games model became more refined, they acquired additional funding of $8 million, which came from venture capital firms as well as Tencent, a Chinese company that would later serve as the distributor for LoL in China. Although Riot Games began modestly, with just several employees in a single office, it grew quickly. Nowadays, the company has 23 other offices in the United States and other countries around the world. It employs more than 3,000 people in Los Angeles, San Francisco and St. Louis as well as Barcelona, Berlin, Dubai, Hong Kong, Mexico City and Paris. Merrill continues to serve as the co-chairman of Riot Games. His co-ownership of the company has contributed more to his net worth than all of the other endeavors he has undertaken. Although Riot Games has focused on project games beyond League of Legends, LoL has resulted in the bulk of its success and therefore Marc Merrill’s net worth. LoL is the most-played video game in the world, and it enjoys more than 100,000 active players each month. Revenue is earned through a freemium model. Freemium means that the game is free to play but that players can purchase microtransactions. The currencies for the MTX are Riot Points and Blue Essence. Riot Points are purchased with real money, and Blue Essence is earned in-game. Not everything can be purchased with Blue Essence, but Riot has stayed true to the early goal of making sure that all items with an effect on the gameplay are available for both Blue Essence and Riot Points. Blue Essence purchases ensure that League of Legends is not a pay-to-win format and that players aren’t at a disadvantage because they lack discretionary funds. This approach that Riot took helped shape MTX shops in the West, and it certainly bolstered loyalty among a base that was happy to support “their” game while never feeling taken advantage of or unable to remain competitive when they couldn’t afford it. The success of League of Legends is directly linked to its success as an esport – professional video game competitions. Professional teams are now run much like traditional sports enterprises, and the largest prize pool to date was nearly $6.5 million. This success motivated Riot Games not just to become an event organizer but to also sponsor collegiate events, which pay out in college scholarships as opposed to cash money. While the success of LoL as a professional sport has contributed greatly to Merrill’s net worth, so has League of Legends as a brand. Not only do the teams sell jerseys and gaming gear, but Riot Games also sells a wealth of products through its own stores as well as major retailers, both online and brick-and-mortar. This merchandising includes clothing, posters and gaming accessories as well as character statues, figures and plushies. While Riot Games has continued to grow thanks to League of Legends, Merrill and Beck have sought growth elsewhere within the industry. Their other ventures have included a board game as well as other video games. They also hired Pure Bang Games to develop a couple of mobile gaming apps on their behalf. 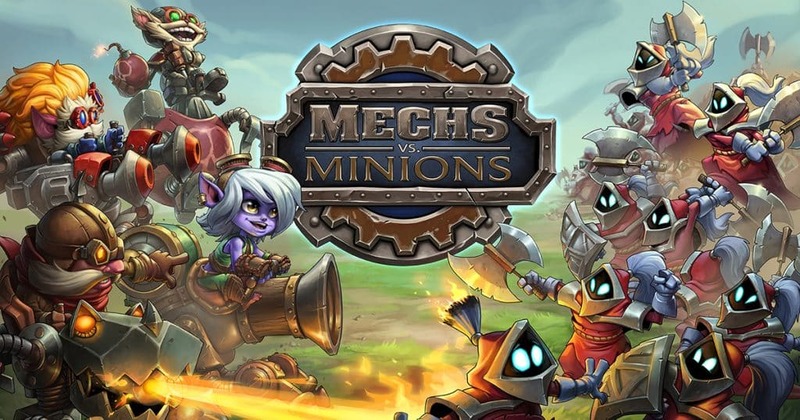 Mechs vs. Minions is a cooperative League of Legends tabletop game developed by Riot Games. The game has been well-reviewed and is intriguing in how it incorporates aspects of League of Legends as well as advanced logic. Riot Games is able to support it through its website via weekly challenges. The game can also evolve through expansions, and this provides the company another revenue path. Riot Games has also published a series of smaller video game titles that it has developed itself and with the help of Pure Bang Games, a smaller indie studio. These titles have been for Microsoft Windows and web browsers as well as for smartphones, tablets and other devices that use Android and iOS. Marc Merrill has been honored on a number of occasions not just for his success but also for his innovation and entrepreneurial spirit. These honors have been bestowed upon him as an individual, as a duo with Brandon Beck and as part of the organization that is Riot Games and all it represents in the industry. The British Academy of Film and Television Arts has begun expanding its appreciation beyond just film and television to also include video games. 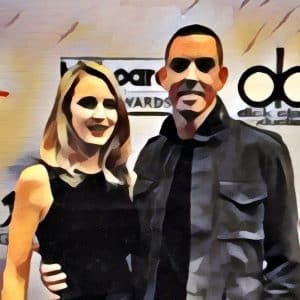 It now hosts the British Academy Games Awards, and in 2017, it featured a special event at E3 in Los Angeles to recognize the achievements of video game industry leaders. A high point of this one-off event was a special award that was bestowed on both Brandon Beck and Marc Merrill as the co-founders of Riot Games. The British Academy stated that the award reflected the creative contributions that both had made to gaming. During the show, BAFTA expanded on what it felt these creative contributions were. The organization stated that League of Legends was more than just a beloved and highly successful video game. The universe around the game included events that were filling arenas throughout the world and inspiring children to want to grow up to become professional League of Legends players. Along with Beck, Merrill also earned the Ernst & Young Entrepreneur of the Year Award. This is a prestigious award that seeks to honor people who are not just successful but have also created something truly remarkable in the world. A key component of being an Entrepreneur of the Year is inspiring others with your vision. While being honored, the speakers on hand discussed not only the vision to upend industry practices but also the way in which League of Legends has inspired others throughout the industry. Merrill embraced philanthropy even prior to League of Legends exploding, and his success has just allowed him to do even more. That more includes actively serving on the boards of multiple nonprofit organizations, including City Year Los Angeles, the Seal Family Foundation and Unite America. City Year Los Angeles is a group that seeks to improve dropout rates particularly in underachieving schools. More than 60% of children in Los Angeles are at risk of dropping out. The statistics concerning dropouts are disheartening, but this group and supporters like Merrill seek to turn the tide for many of those students. With all of the success Merrill has enjoyed as the co-owner of Riot Games, you may think that he would be content to rest on his laurels, but this hasn’t been the case. Merrill has also sought other professional success through business endeavors beyond just the video game industry. While Merrill has proven his ability as president, chief executive officer and chief marketing officer of Riot Games, he has also served as the chief marketing officer of Advanstar Communications, an online payment service. Additionally, he has held positions in finance at US Bancorp and Merrill Lynch. It’s estimated that Marc Merrill’s net worth is approximately $2.5 billion. Considering just how fast his wealth grows due to the continued success of League of Legends, this may even be an underestimation. Riot Games is, of course, the primary source of his wealth, and it offers many revenue streams. Note that his estimated net worth was closer to $1 billion in 2017. That gives you a good idea of just how fast his wealth is currently growing, which may be in large part due to the TV contracts League of Legends is receiving. He also recently built an oceanfront mansion in Malibu that cost more than $13 million. Marc “Tryndamere” Merrill was born on August 17, 1980, in California. He grew up loving video games, a passion that his parents nurtured. Ashley – who Marc calls “Ashe” – was his longtime girlfriend. She was his girlfriend when he launched Riot Games and when League of Legends really took off in 2009. In 2011, Marc and Ashley married and decided to start a family. She soon found out she was pregnant, and that motivated her to stop procrastinating out of fear and launch her own company in late 2012. By 2013, she hired her first employee, and soon after, she found out that she was pregnant with her and Marc’s second son. Merrill and his family continue to reside in Los Angeles County. Building a Marc Merrill net worth is no mean feat. He is passionate about video games, spotted a unique niche in the market and built an exceptionally popular game. But that doesn’t mean you can’t grow your own wealth intelligently. Each time you buy something you can save using the Acorns budgeting app. If you’re not sure where to begin, Personal Capital has a free mobile app to help you track your spending and income. No matter what path you take to building your net worth, whether earning dividends from top stocks or trading your way to a better future using top brokers like tastyworks and TD Ameritrade, the first and most important step is to set financial goals. If you’re not sure where to begin, check out some of the top roboadvisors like Ellevest and SoFi Wealth Management who can get you off the starting blocks. Follow news on the Marc Merrill Twitter account and updates on his Marc Merrill Instagram account.